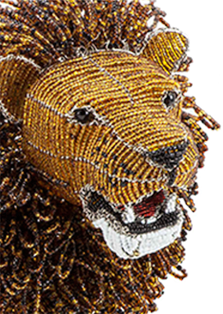 For over a decade, African Creative has been a trusted dealer of premium African artworks and designs. African Creative was born from a desire to bring handcrafted South African design to a larger audience. 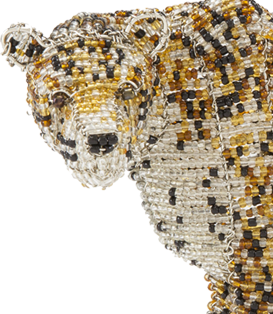 We began working with wire and bead artists in Cape Town in 2004, bringing their works to a larger audience. Our passion for indigenous African pieces has expanded into the continent. We strive to bring authentic African design to people who are as passionate about Africa as we are. In line with our commitment to build sustainable livelihoods across Africa, we apply Fair Tade principles in our relationships with regional artisans and craftspeople across the continent. In all our dealings, we work to make the least impact on the environment while making the most impact in communities. We do our utmost to ensure that the materials used in our products, from indigenous hides to sustainably sourced wood, are ethically procured and environmentally responsible. Our social conscience extends beyond simply sourcing ethical products. We act to make Africa better. Together we can help save the rhino. Fewer than 26 000 rhino remain alive in the wild, yet poaching figures across the continent continue to rise. In 2013, we launched the Locked Horn Project in collaboration with StopRhinoPoaching.com to raise funds for the war against rhino poaching. For every beaded Locked Horn Rhino purchased, we donate 15% to support rhino conservation projects. You can work with us to help us save this iconic African species! Go to http://lockedhornproject.com for more information. African Creative is a proud supporter of SANCCOB, a leading marine non-profit organisation dedicated to rescue, rehabilitation and release of endangered seabird, especially threatened species such as the African Penguin. To date, more than 95 000 sea birds have been treated by the organisation, with over 24 different seabird species admitted for treatment annually. You can help this highly dedicated team by supporting our range of SANCCOB Plush Toys. For every purchase, a portion of the sale goes to SANCCOB, helping them to continue with their amazing work. Display stands are also available on ordering (terms and conditions apply).